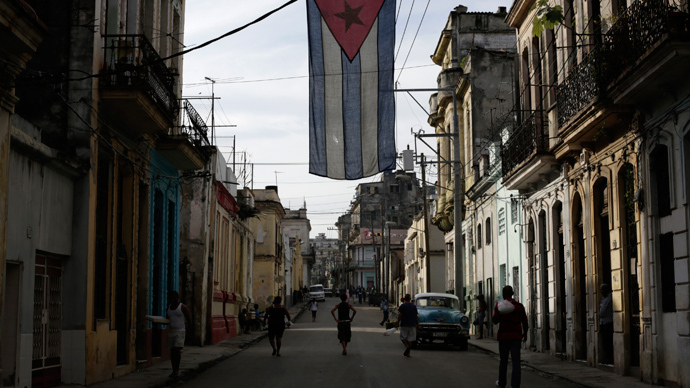 Diplomatic relations between the United States and Cuba may be restored within a couple of months if America declares its intention to remove Havana from its list of state sponsors of terrorism, a Cuban official said. According to Reuters, the remarks by Josefina Vidal of the Cuban Foreign Ministry mark the first time that Cuba has declared its willingness to restore ties before being actually removed from the terror list. After meetings with American officials last week, Vidal said it was a “priority” – not a pre-condition – for Cuba to be removed from list before both countries could open embassies once again. "In our view it's not necessary to put it all in one package because if, for example, in a few weeks we receive some satisfactory notification in regards to the matter of Cuba's removal from terrorist list, I think we will be ready to then begin talking about how to formalize the re-establishing of relations," Vidal said in an interview with Cubadebate on Sunday. If decoupled from the question of reopening embassies, the détente could come before the regional summit in Panama, scheduled for April 10. Cuban officials have also pointed out that US laws forbidding banks to do business with Cuba remain in force, further complicating the logistics of reopening embassies. Once the Obama administration completes its review of Cuba’s place on the terror-sponsor list – a designation established in 1982 for Cuba’s aid to Marxist insurgencies – it would have to submit the proposal to Congress. In an interview with Reuters on Monday, President Barack Obama said: “My hope is that we will be able to open an embassy, and that some of the initial groundwork will have been laid” before the summit in Panama. Obama announced the intent of normalizing relations with Cuba in December last year, arguing that half a century of sanctions have failed to force Cuba back into the fold. The blockade was originally imposed after the 1959 revolution that overthrew the pro-American dictatorship of Fulgencio Batista. “After 50 years of a policy that didn't work, we need to try something new that encourages and ultimately I think forces the Cuban government to engage in a modern economy,” Obama said, which would “create more space for freedom for the Cuban people.